Teens and Technology: PASSION. PURPOSE. MEANING. In a recent Huffington Post article, "The Three Most Important Questions You Can Ask Your Teenager," Thacher School Headmaster, Michael Mulligan relays the status of teens today. On the one hand he extols them as "confident, connected, and open to change." They are service oriented, embrace diversity, and seek solutions to environmental problems. By reporting these facts one could interpret Mulligan's views on the Millennial Generation as happy, fulfilled and purposeful, yet Mulligan reports the opposite. He says, "We have raised a generation that is plagued with insecurity, anxiety and despair." He reiterates his point with evidence from former Yale professor William Deresiewicz' book, Excellent Sheep: The Miseducation of the American Elite and the Way to a Meaningful Life who claims, "They are so stressed out, over pressured; [they exhibit] toxic levels of fear, anxiety, depression, emptiness, aimlessness, and isolation." In reading such an alarming account of the emotional health of college students, one needs to ask why? Deresiewicz points the finger at some parents and the way college age sons and daughters are raised with intense pressure to get into an elite college that will not only reflect well on the student's status, but the parents' status as well. Society plays a role in conditioning students to believe that everything they do is to look good in the eyes of admissions officers and employers. The pure joy of an intrinsic passion does not come into play if it does not serve the greater goal of getting into college or getting a job. Mulligan states, "You engage in community service not because you wish genuinely to make a positive difference in the lives of others but rather because that is how you burnish your resume -- service as check-off box," and this is just one example. There are many where intrinsic values are replaced by extrinsic ones. These points are all valid and true, but I’d like to elaborate further with the ways technology plays into these students’ emotional and mental states. In a study at Baylor University, 60% of the students self-diagnosed themselves as addicted to their cell phones. Research shows that an overuse or addiction to technology can cause the same "stressed out, over pressured" student who may "exhibit toxic levels of fear, anxiety, depression, emptiness, aimlessness, and isolation." There are many specific ways the Internet, social media, and dependence on digital devices contribute to these unhealthy moods. A little known physical fact is that 80% of us hold our breath when we check email. Linda Stone, formerly of Apple and Microsoft Research coined the phrase email apnea when she researched and found that people inhale when they check email, but in the anticipation of what is to come, they neglect to exhale. Without the exhale our bodies shift into a high alert state of fight, flight or freeze. If one thinks about the Baylor Study findings that college women spend 10 hours a day on their cell phones and men 8 hours, it means that college age Millennials are walking around in a state of non-breathing anticipation with an alert and frightened sympathetic nervous system. These physical conditions create anxiety and fear which is only augmented by Deresiewicz' findings. There are other reasons for anxiety including Nomophobia - No Mobile Phone Phobia. Depression can be caused by Facebook and Instagram with a false reality that one's friends are happier and more popular than one based on the number of pictures tagged and posts liked. Aimlessness and lack of motivation can be blamed on the seductive and addictive nature of video games that are designed to entrap the user in a flood of dopamine hits, thus making it more difficult to put the game aside and complete schoolwork or go to a part time job. There are more statistics found in other entries in this blog. Now with the problem identified, what are the solutions? In essence we can go back to 1854 with Thoreau's words, "Men have become the tools of their tools." In today's world, "Don't be the tools of your tools," can be transformed to "Don't let technology distract you and use you to your detriment. Use technology mindfully for the good. "Thoreau also said, "Not until we are lost do we begin to understand ourselves," and today's youth is lost. Not only from what I've read in the article, but also from what I've personally seen with my own daughters and their classmates. Many of today's youth are either dissatisfied in college, or taking a break because it's not only unfulfilling, it's causing depression and anxiety in pandemic proportions. Teens are unhappy, and we've identified some of the reasons why, so now what? If today's teens are lost, then perhaps they need to go on a modern Hero's Quest and ask the existential questions: Who am I? Why am I here? Michael Mulligan asks similar questions. The first one, "Who tells us who we are?" can be seen from the extrinsic with the college admission process, employers, Facebook, Instagram, and fashion designers to name a few. What would happen if students went on their own Odyssey and ideally came to know themselves through intrinsic interest and experience, similarly to T.S. Eliot's famous lines, "We shall not cease from exploration / And the end of all our exploring / Will be to arrive where we started / And know the place for the first time." What if we taught passion to purpose as a curriculum, and then once they knew a purpose, they could begin to think creatively about that purpose and move from idea to impact? What if we asked them how do you want to serve your world? And we want to know how it connects to your authenticity, your desire, and your compassion for humanity. Howard Thurman states it a little differently, "Don't ask what the world needs. Ask what makes you come alive and go do it. Because what the world needs is people who have come alive," and if one says, "I don't know what makes me come alive," then that is the first obstacle in the Homerian journey. The mission is to discover what you love to do. Discover your desires and passions. Then you test it out with purpose. You create a direction and a discipline to move from idea to impact, and ultimately you find meaning. ABC Legacy’s Mission is to prepare today's Millennials and eventually Generation Z for the promises and challenges of an increasingly interconnected technological world including the dangers of technology addiction. With a “Power Down to Power Up" process that takes students from presence to passion to purpose, and then idea to impact, the Incubator provides the physical space for an "In the Gap" year program. Participants come to be inspired, focused and effective through technology awareness, mindfulness practices and entrepreneurial skills as they work directly with mentors to create their own social change initiatives. 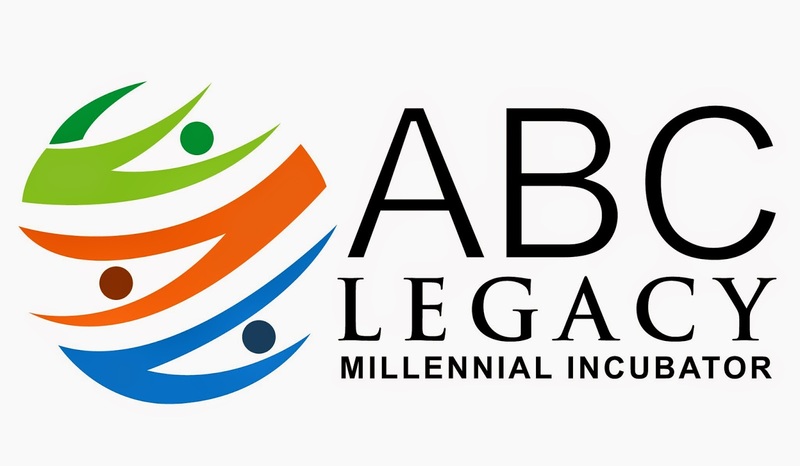 ABC Legacy is committed to lighting candles in the minds of the future leaders of the world and helping them ignite a positive collaborate impact on society. "Power Down to Power Up" is the process for ABC Legacy’s In the Gap program which is designed to be housed within a thriving Innovation Center like the Bradford Mill in Concord, MA. Students spend 12 weeks taking frequent intermittent breaks from technology to practice mindfulness in order to synthesize and create new ideas, collaborate and plan to use technology mindfully. Through this process they learn an entrepreneurial curriculum similar to African Leadership Academy's to create social and environmental initiatives whether it be a TED talk, a computer language, a company, or a social impact project. The possibilities are endless once these college age millennials "come alive." There are Millennials who are thriving, and the question is, "What was their process?" The African Leadership Academy takes the best and the brightest students from all countries in Africa with the mission to create the new leaders of Africa. These students are thriving. They go to universities and colleges around the world and commit to entrepreneurial projects in their home countries. What can we learn from this model? Can we do the same for our schools in the U.S? Maybe some are, and I plan to seek them out, or I will go learn the curriculum at African Leadership Academy, following one of my own passions - South Africa. In closing, I loop around to the beginning of this article. What happens when depressed and anxious teens seek passion and purpose to make a difference in the world, or in TS Eliot's words, "to Dare to Disturb their Universe?" I claim they find meaningfulness. I end with, perhaps, a little known fact about the great spiritual philosopher William James. As a young man, William James went to Paris to study. He was extremely depressed and became suicidal, but he decided to make a wager suggested by a French philosopher. He would act every day for a moment as if the universe was full of purpose and meaning. At the end of this period, he had discovered so much meaning and purpose that he changed his life around. Thus, Presence + Passion + Purpose = Meaning.